"Home Staging" is more than just preparing to sell your home by making it look the best it can. It's really the art of first impressions. As a home seller, you may want to consider hiring a professional home stager to assist you. They work with the "flow" of a home, eliminate clutter, arrange furniture, and even assist in enhancing curb appeal. Or, if you're more the do-it-yourself type, below are some tips on what you can do to improve your home's "first impression." Once you've created a promising exterior, you need to focus on the interior. The key to staging is to make it meaningful, set the tone and suggest countless possibilities. That means you need to remove everything that could distract the buyer's attention. Keep only what you must to remain functional. If you don't use something every day, pack it for the move. This is also very important. You want to remove anything personal such as family pictures and mementos. Like the exterior, the inside needs to be neat and clean. Once the house is clean, stage your home with minimal furnishings. Arrange furniture to enhance the strengths of the room and facilitate traffic flow. If your furniture shows signs of age, consider borrowing pieces. 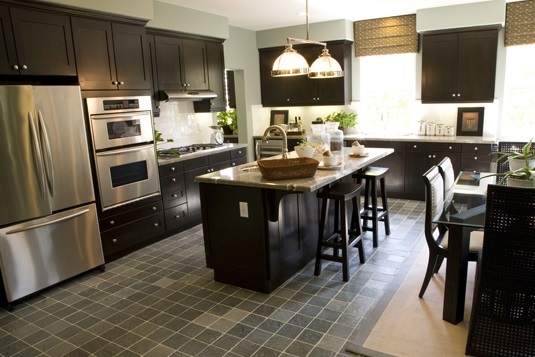 If you need inspiration, visit some model homes to see how decorators have put rooms together. It's not necessary for individual rooms to be used for their original purpose as long as the functions they represent are logical and show the space off well. In home staging simplicity and comfort is your ultimate goal!